Street foods are ready to eat food or drink generally sold in streets, public areas like a market,in fair by a hawker, vendor with a portable stall. 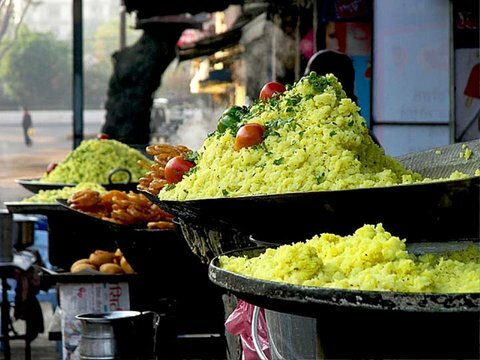 Indian streets are well famous for its cheap and tasty food items, Every Indian city has its own specialty of all time favorite snack. Delhi is famous for its tasty street foods either Indian or Chinese with Indian flavor, North east Indian cuisines are also considered to one of the best food such as Naga cuisines, Assam Laksa,bamboo shot, momos, they are cheap and taste really good. The safety of street food has become one of the major concerns of public health, cleanliness and freshness are the concern to discourage people from eating street food. Chole Bhature: Delhi, The capital of India is one of the best place to have street foods, Delhi offers variety of road side food and stalls. 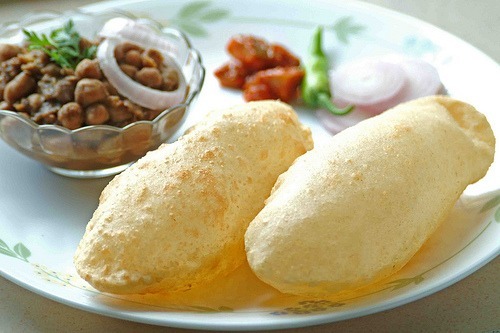 Chole bhature is a Punjabi dish but very popular in major urban cities of India. Delhi is well famous for best chole bhature, commonly eaten for break fast or snacks other famous road side food from Delhi are rajma chawal, prathe and most famous mouth watering snacks item chaat. Poha-Jalebi: Indore, The biggest city and commercial capital of the state called “heart of India” Madhya Pradesh. Indore is most popular for its culinary rang and well known for wide range of namkeens, samosa, chaats, lapsi and the best one bafla. Poha-Jalebi is the best street food and the specialty of Indore served with sev & nukti and with jalebi. Indore felt proud of the poha and jalebi being the best in the world. 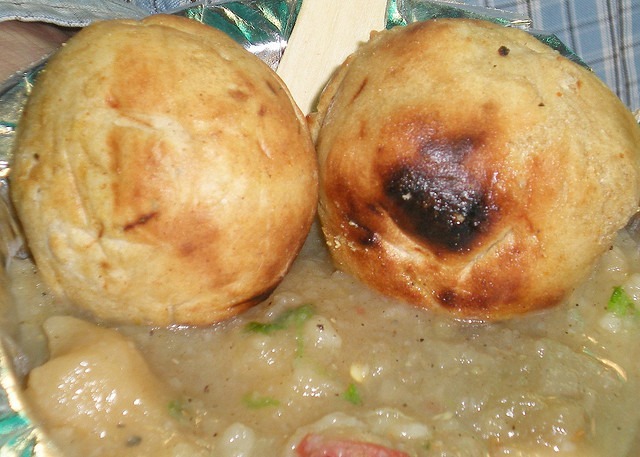 Litti Choka: Patna, The most famous dish and the soul food for people of Bihar, Jharkhand and eastern Utter Pradesh. Litti Choka is looks like dal batti of Rajasthan but its completely different in taste as well as in recipe. The traditional dish of Bihar is made with sattu, grinded gram nut or chana served with chokha made out of potato, brinjal and tomato and a bowl of melted pure desi ghee. Litti Chokha is the best breakfast, lunch and dinner and one of the most important delicacy of Bihar cuisine. Never miss the chance to taste it on streets of Patna. Aloo Tikki: Lucknow, The most popular snack dishes aloo tikki typically served at road-side tracks from stalls in Lucknow and all over India. aloo tikki is one of the most mouth-watering delicacies within the street food of Uttar Pradesh. 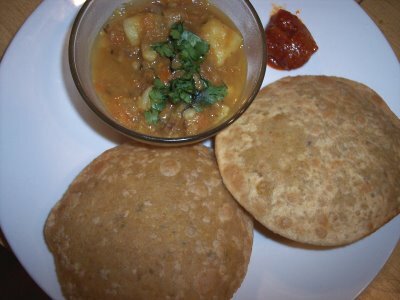 The North Indian snack is made of boiled potatoes and various spices served hot along with sauce. The dish vary from city to city with different name and forms like ragda pattice in Mumbai, Aloo chat etc, The royal cuisines of Lucknow, galauti kebab is a kind of road side food which is also one of the most famous food in streets of Lucknow. Other popular street foods in Uttar Pradesh included Bhel, pani puri, sev puri, dahi puri,jhalmuri and Puri-Subzie. 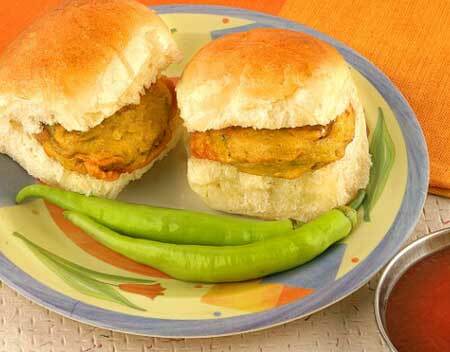 Vada Pao: Mumbai, The Indian version of burger and most popular road side food straight from the heart of Maharashtra. Vada Pao is the most loved and ultimate staple food item, consists of a fried potato dumplings called vada served in a bun, pav with condiments such as red or green chutneys and fried green chillies. The famous vegetarian fast food dish is native to Maharashtra few other are misal pav,pav bhaji, pav-sample, dabeli, batata wada and kande pohe. Kachori: Bikaner, The royal state of India, Rajasthan is well famous for its awesome cuisines and delectable street foods. Its famous Bikaneri kachori and popular mirchi bada are the most favorite amongst the locals, and found in almost every street shop or stall. 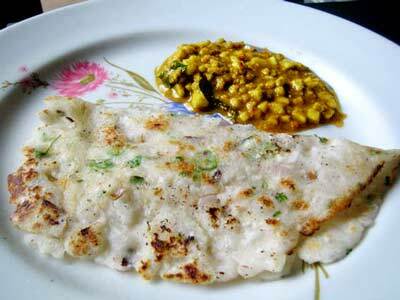 The desert state also known for its most popular dal-baati-churma, pakores and mawa, famous desert from alwar. Dabeli: Ahmedabad, The most popular street food originate from the Kutch region of Gujarat and travel across street of Mumbai, Pune and other cities of India. 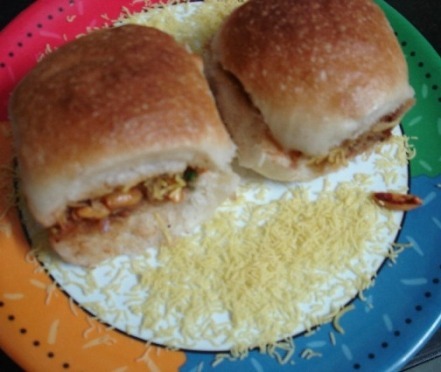 Dabeli is a very popular and fantastic spicy snacks item made by boiled potatoes with a special dabeli spices and putting the mixture between the pav. Egg Rolls: Kolkatta, Egg Rolls are one of the most popular of all street foods in Kolkata. A fried egg wrapped inside a paratha served with chutney or sour dipping sauce in many roadside stalls. Another famous street side food item in Kolkatta is phuchka or golgappa. Akki rott: Bangalore, The specialty of state is akki roti, A spicy bread made from rice flour and server with coconut chatney. The delicious street food is one of the most popular and common tiffin snack quick to make and tastes so good. The specialty of food street in banglore is dosa, there is a huge variety on dosa served here, other food items are sambar,rasam and curd rise. 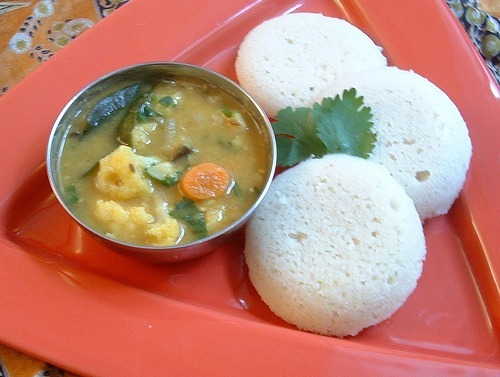 Idli Sambhar: Chennai, The most favorite south Indian dish, common as breakfast item and served with combination of chutney and sambar. Sambhar which tastes so good with idlis and vadas is made with tamarind and pigeon peas. Idlis and vadas sambhar are the best food in the streets of Chennai, Tamil Nadu. Mirchi Bajji: Hyderabad, The famous Hyderabadi style mirchi bajjis is a common snack or appetizer, stuffed green chili fritters. Though mirchi bajjis are found with different stuffing’s from at different regions in India but Hyderabadi style mirchi bajjis are the best one to have. Hyderabad is also famous for its Biryani, dosa, idli and Bonda.